Surface-pattern designer and artist Claire Murray has just launched her first wallpapers inspired by nature using a colour palette of elegant colours to complement her contemporary designs. Quality and craftsmanship lie at the heart of Claire’s philosophy, and all designs begin life as exquisite hand-drawn ink studies from nature. 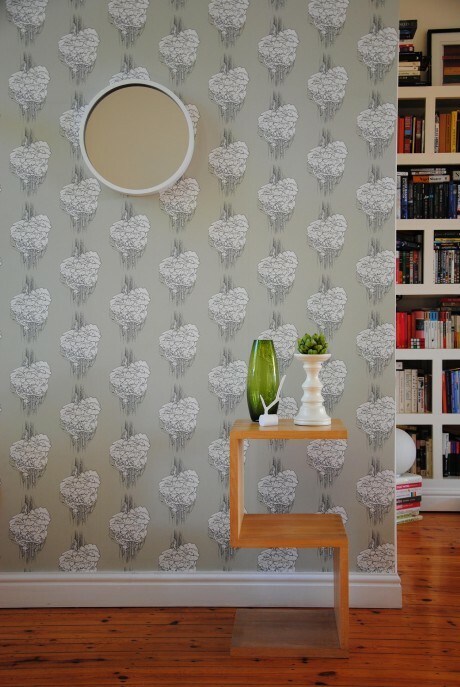 Coriolacae is available in Stone, Champignon in Neutral Gray, and both wallpapers are £75 for a 10m roll. A range of complementary lampshades and cushions are also available and are hand-made to order. Claire Murray will be exhibiting on the Heart Home stand at Home London from 12 – 14 January. Earls Court 2, London. Heart Home magazine will be on stand M46. Join us for a ‘tweetup’ on Sunday 12th at 12pm. Also in association with Pressloft UK.